刘晔, 周晓红, 王古月. 镇江市典型产业园区青菜中重金属特征分析[J]. 环境监控与预警, 2019, 11(2): 50-53. LIU Ye, ZHOU Xiao-hong, WANG Gu-yue. 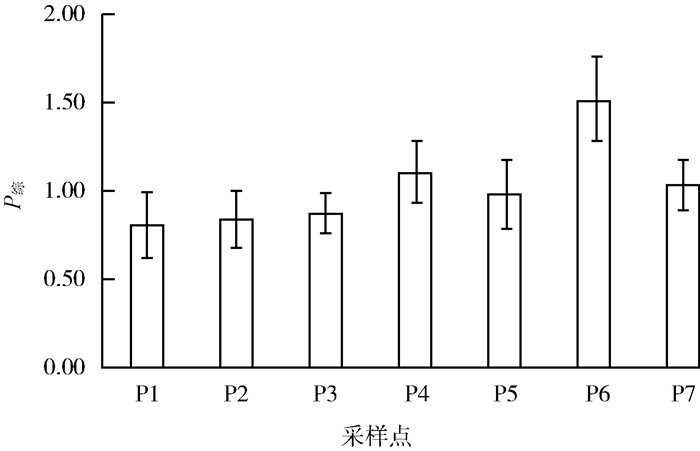 Analysis of Heavy Metal Characteristics in Vegetable in Zhenjiang Industrial Park[J]. Environmental Monitoring and Forewarning, 2019, 11(2): 50-53. 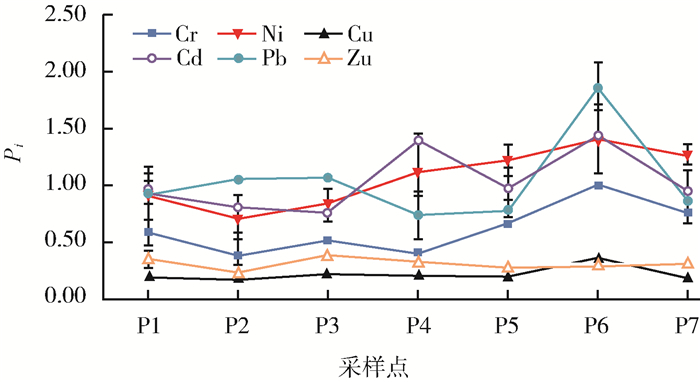 Abstract: The heavy metals content in greengrocery and soil samples from greengrocery plots, which are located in typical industrial parks of Zhenjiang in Jan 2017, have been analyzed. The results showed that the average values of Cr, Cu and Zn in greengrocery were less than the food hygiene standard limits, and the average values of Ni, Cd and Pb in greengrocery were between the critical values of the food hygiene standard limits; the three heavy metals in Greengrocery in industrial parks were in a mild pollution state, and the contents of Cr, Cu and Zn in greengrocery were lower than the food hygiene standard limits. The three heavy metals are non-polluted. Compared with the "Standard for Risk Control of Soil Pollution in Agricultural Land of Soil Environmental Quality" (GB 15618—2018), only Cr and Cd exceeded the standard requirements at some individual points, while the other six heavy metals at all points were below the standard. 张丽红, 徐慧珍, 于青春, 等. 河北清苑县及周边农田土壤及农作物中重金属污染状况与分析评价[J]. 农业环境科学学, 2010, 29(11): 2139-2146. 张倩, 陈宗娟, 彭昌盛, 等. 大港工业区土壤重金属污染及生态风险评价[J]. 环境科学, 2015, 36(11): 4232-4240. 郭鹏然, 雷永乾, 周巧丽, 等. 电镀厂周边环境中重金属分布特征及人体健康暴露风险评价[J]. 环境科学, 2015, 36(9): 3447-3456. 戴彬, 吕建树, 站金成, 等. 山东省典型工业城市土壤重金属来源、空间分布及潜在生态风险评价[J]. 环境科学, 2015, 36(2): 507-515. 中华人民共和国卫生和计划生育委员会, 国家食品药品监督管理总局.食品安全国家标准食品中污染物限量: GB 2762—2017[S].北京: 中国标准出版社, 2017. 中华人民共和国卫生部.食品中铜限量卫生标准: GB 15199—1994[S].北京: 中国标准出版社, 1994. 国家卫生和计划生育委员会, 国家食品药品监督管理总局.食品安全国家标准食品中污染物限量: GB 2762—2017[S].北京: 中国标准出版社, 2017. 中华人民共和国卫生部.食品中锌限量卫生标准: GB 13106—1991[S].北京: 中国标准出版社, 1991. 生态环境部.土壤环境质量农用地土壤污染风险管控标准: GB 15618—2018[S].北京: 中国标准出版社, 2018. Environmental Monitoring and Forewarning, 2019, 11(2): 50-53.